I think these guitar buying tips will help you to make a better decision and you could also get some kind of ideas that you seek out the right instrument to meet your needs. 01. Firstly you should understand what type of guitar you are looking for. Present period, four types of guitars available on the market. See below. 02. You must want to know what type of music styles you hope to play and then buy a guitar. 03. Students with smaller hands (like children, small adult people) should think about purchasing an electric guitar or nylon stringed acoustic guitar as they are easier to play. 04. Go with most popular and quality brand names. 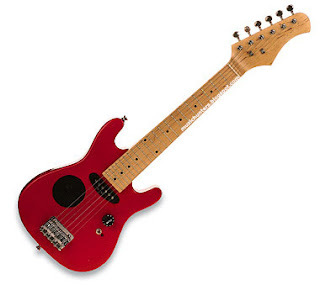 The most popular brands are Yamaha, Fender, Gibson, Martin, Ovation and Washburn. I highly recommend Yamaha or Gibson guitars for beginners because these guitars are well made and price ranges is little bit low. 05. Search in the internet for more info and read classified ads like Craigslist. It’s very important. 06. Online shopping for a guitar is another great way to save money and to compare prices across a wide variety of sellers. My recommendation is *EBay. It’s my favorite online shopping web site. You can bid for the guitars from there. Also some companies provide online shopping facility. Make sure the company has a money back guarantee and what their items return policies are. 07. You will get enough information about buying guitars, go for it! Guitar is a magical instrument. It can easily sweeps down an audience with its powerful, inspiring rhythm. Unlock the budding rockstar in you now.